My creative journey has been of the most wonderfully meandering type: Finger-painter, turned art major, turned interior designer, turned art teacher, turned administrator, turned artist, kind of journey. My love of painting is a natural extension of my love for teaching and my background in art education. I received my B.A. in Integrative Arts with a focus in Art History and Painting, and a Masters in Art Education both from The Pennsylvania State University. While teaching, I also received a post-graduate certification in administration at Saint Francis University. 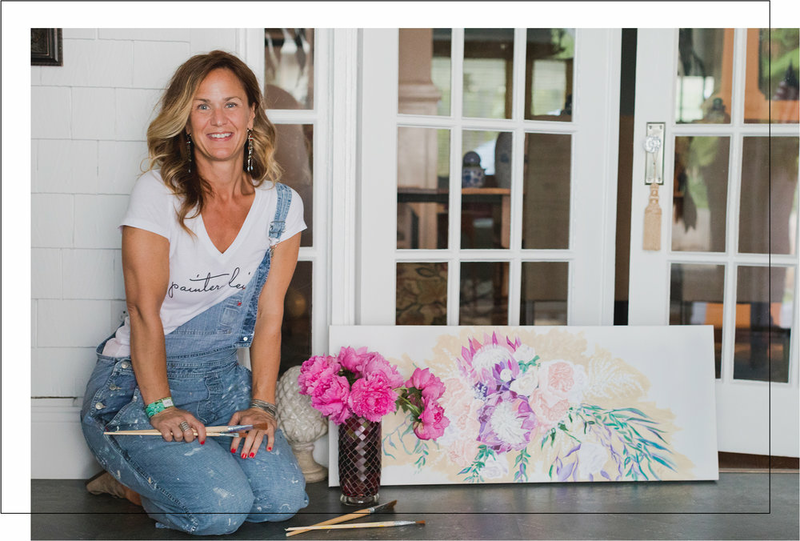 Since starting my painting business over 25 years ago, I have been honing my painting skills through teaching classes, taking classes from other artists I admire, and constant exploration. In addition to painting and teaching, I have exhibited my work locally and have collaborated with other artists in various large-scale murals and community projects. This background allows me to bring extensive administrative and planning expertise to the collaboration process. I will attend to every detail to ensure that the process flows easily and smoothly so you won’t have to worry about a thing. I am committed to creating a final product that you will love and treasure forever. My ever present goal is to be a lifelong learner in pursuit of creating art that brings others joy. I celebrate life with paint - aiming to capture joy and happiness with my brushstrokes. I paint in acrylic and occasionally in oil almost daily in my home studio, Painter-leigh.